In a delightful role-reversal that all children will love, Mummy Bear pretends to be completely lost without her little bear. 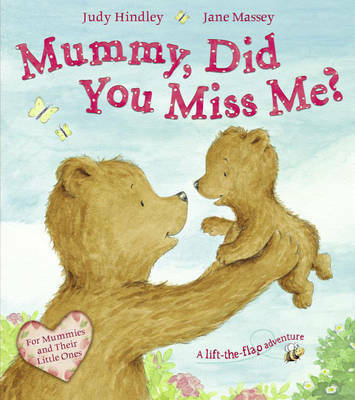 And when Alice Bear returns from her exciting trip around the garden, bubbling with stories of tigers, sailing boats and tropical islands, Mummy Bear's enormous hug reassures her that of course she's been thinking of and missing her little bear every minute of the day! Judy Hindley lives near an ancient forest in a town built in the time of knights and castles in Wiltshire. She's the author of many wonderful books for children. Jane Massey studied Graphic Design at Kingston University and went on to work for several agencies in London and Hong Kong. Since moving into illustration she has worked on numerous children's books including Let's Play Peek-a-boo! as well as commissions for advertising, packaging and greetings cards.